Quantum Computing is an Alaskan owned information technology solutions company. Operating out of Anchorage, we offer local onsite IT services and remote services statewide. Our solutions pull from over thirty years of experience in several different computer science fields, including server administration, programming, and network design and security. Quantum Computing strives to maintain an edge over other IT solutions companies by keeping our clients up to date and on the cutting edge of developments in the IT world. This goal keeps your business operating with all the latest advantages, both in security and productivity, giving you the edge you deserve over your competitors. Quantum Computing will deliver solutions via break fix, maintenance agreement, or project design and implementation. Is your equipment or infrastructure having problems? We can fix them. Want to overhaul your aging infrastructure with something faster and more secure? We can do that too! We will design a new solution that fits the needs of your business and will assist you in implementing it. Our solutions are delivered under an affordable and easy to understand hourly billing system. We always provide quotes for hardware, materials, software, and implementation. Just want the design? 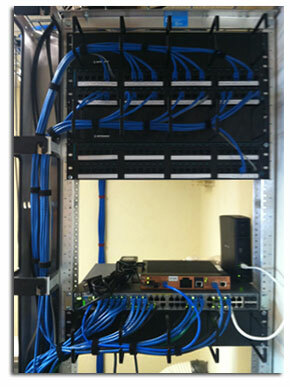 No problem, let us handle the planning, and let your IT team take care of the implementation.